Muse Models, based in Portland Oregon, recently came to us for help updating their model books. Hoping to raise the bar in an industry that is mostly still using uninspiring black vinyl books, Muse asked us to propose a fresh new look. What we came up with was a custom Vista Screwpost Binder with a thru-cover cut-out of their logo. Our large inventory of materials, in-house manufacturing capabilities and design expertise allowed us to quickly design and manufacture a winning solution. The books are durable, easy to update, and hard to ignore. 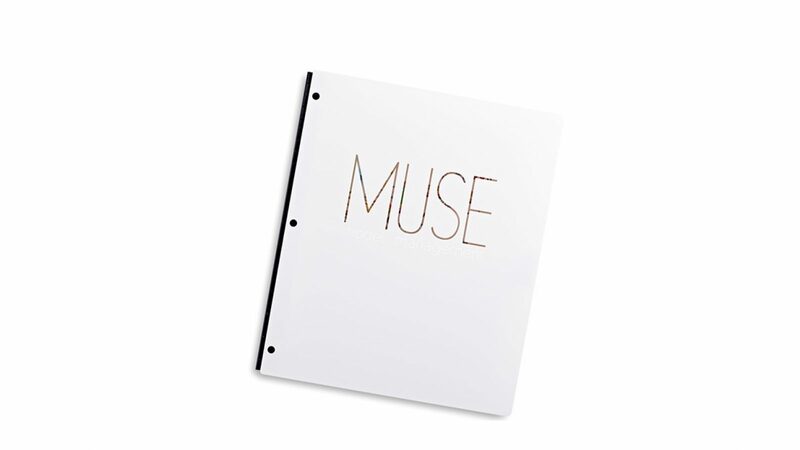 200 of Muse's models now use them daily.